We also offer Zoom! at-home tooth whitening system that will whiten teeth dramatically. This method usually requires two visits. 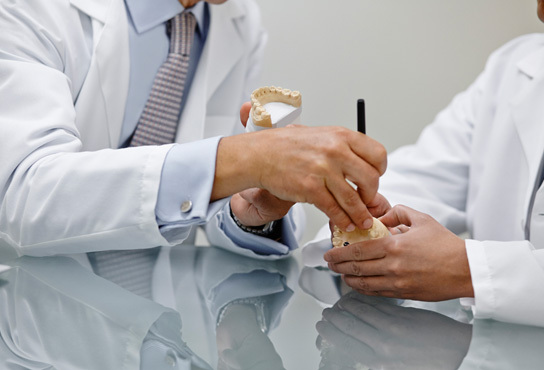 During your first appointment, we’ll take detailed impressions (molds) of your teeth. These will be used to create customized clear plastic trays. During your second appointment, you will try on the trays and adjustments will be made to ensure a comfortable fit. Our team will give you instructions for using the whitening solution. The trays are worn with special whitening solution either twice a day for 30 minutes or overnight for a couple of weeks depending on the degree of staining and desired level of whitening. It is normal to experience tooth sensitivity when whitening your teeth, but this usually subsides shortly after the treatment is complete. Since the whitening solution only works on natural tooth enamel, we will evaluate whether any old fillings or crowns will need to be replaced after bleaching is complete so that they match the newly whitened teeth. At Osorio Dental Group, our dentists are experts with years of experience in tooth whitening. We will help you choose the method that is best for you and will provide after-care instructions to help you maintain your bright white smile. As always, proper oral hygiene, good eating habits and regular dental visits are recommended following your tooth-whitening procedure. Feel free to contact us with any questions about tooth whitening or to schedule a smile consultation with on of our dentists.